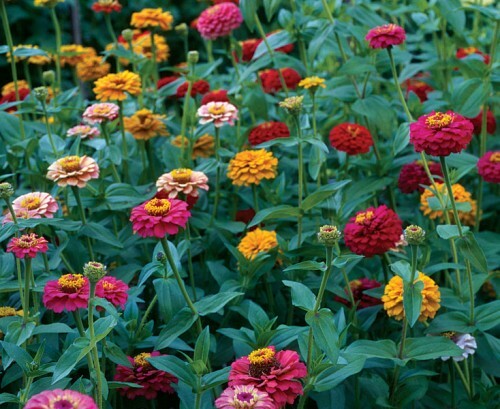 Giant Cactus Flower Zinnia mix-(Zinnia elegans)-The more you pick these flowers the more 4-5 inch flowers you get. Excellent for cut flowers! They have many shades of yellow, orange, red, rose, pink, salmon, and white. Even though they approach 3 feet in height, their stems are sturdy so the flowers don't flop down. Grow in full sun in well drained soil. This annual blooms in mid-summer through fall.